The Drawing Library has lots of great free drawings on a wide range of subjects for Makers to download. Just sign up to access PDF files. Edit and customise the CAD versions of PDF file. These are available, via BUY buttons in Library documents, as paid downloads through PayHip. Learn to draw and model things from scratch using free professional level software through specialist online courses for Makers. All the drawings in the LineMine Drawing Library are of things that can be made. All projects are available as FREE PDF files, which will always have the distinctive PDF logo in front of the document name. 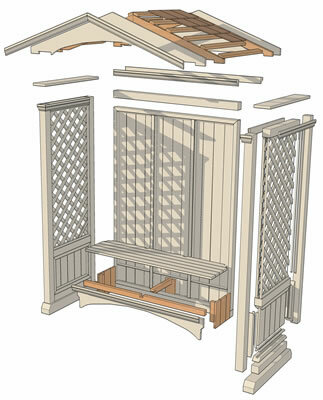 Some projects are also available as paid CAD files, and can be fully customised using the FREE CAD program DraftSight. There are also a number of 3D model versions of the PDF projects as SketchUp files, and these are also available as paid downloads from PayHip. LineMine also provides advice and courses on drawing software. The drawing programs are chosen as the best in their class, and some are FREE to download, in recognition that most makers only use computer drawing occasionally. Online courses are available on SketchUp, a 3D modelling program, DraftSight, a CAD program, and coming soon, courses on Inkscape, a free graphics program. 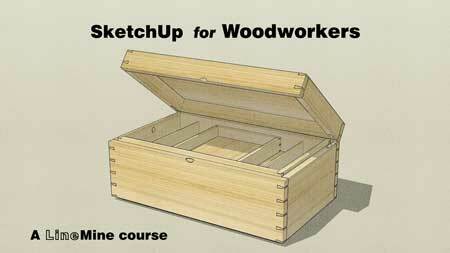 A great option and quick to learn, very popular with woodworkers! Has taken 3D out of animation studios into the real world. 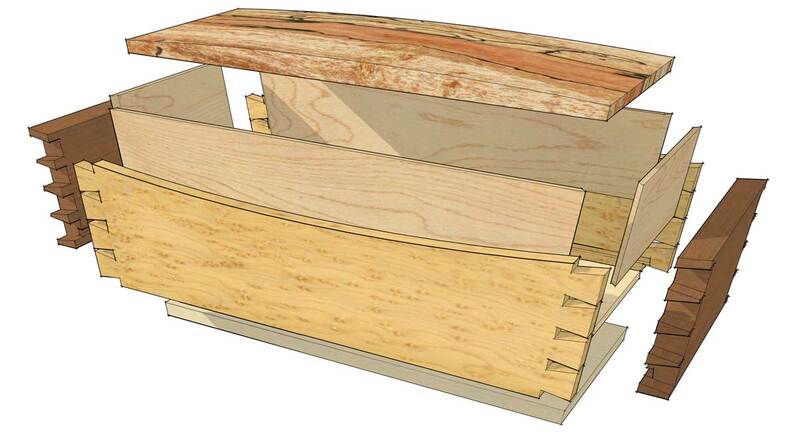 Doing for CAD what SketchUp has done 3D modelling. Easy to use, stable and hugely compatible with AutoCAD and more. A real and free alternative to Illustrator, this powerful graphics program can edit and create text and line art in PDF file format. Take a closer look at online courses? Sign up for free as a LineMine Maker member and you not only get access to lots of PDF files to download, but also special offers on drawing courses. The more complex projects in PDF format can be bought online through the Drawing Library. 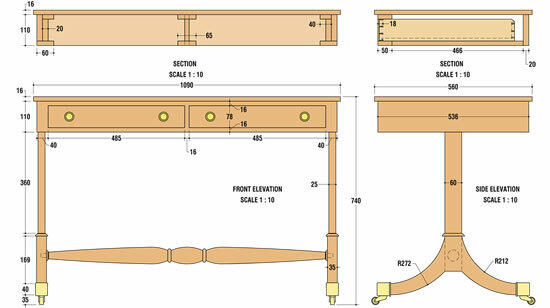 For makers who need greater control over the end result of a project, CAD files and 3D models are now available, Some are free to members, and many others are available as paid downloads. These can be opened using either DraftSight or SketchUp, allowing you to make changes to dimensioned drawings with instant updates.